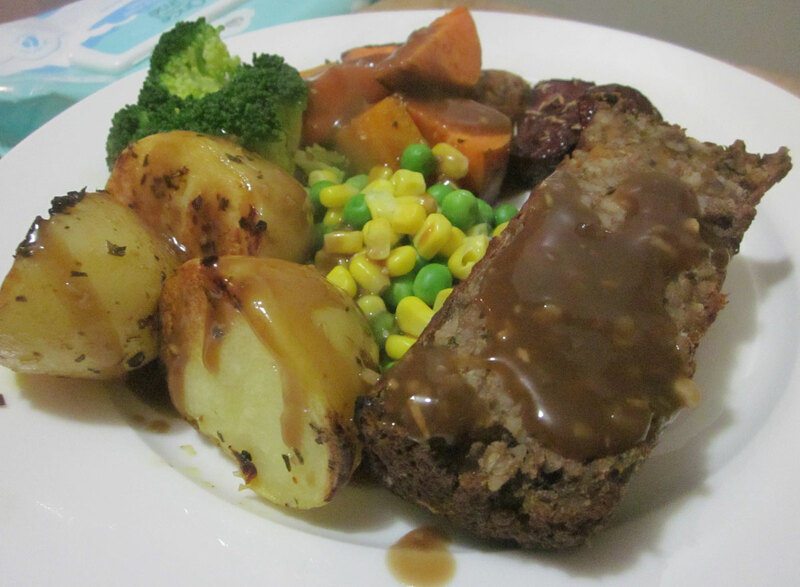 I’ve really been in the mood for a big roast dinner, with a loaf, roast veggies and gravy. I’ve also been on a bit of a walnut bender – I’ve been adding them to almost everything, so I wanted one that used walnuts, but also rice and red lentils. I searched around a bit but couldn’t find a recipe that had everything I wanted, so I decided to take the risk and make up my own. Finely dice the onion and carrot – I used my mini processor – and grate the zucchini. Heat some olive oil in a frypan and add the onion, carrot and garlic and fry over a low heat for a few minutes. Then add the zucchini, walnuts, dried herbs, and pepper, and cook for a few more minutes, until the veggies are softening and nearly cooked. Next add the breadcrumbs, rice, and Braggs, and mix it all together really well. Finally add the cooked red lentils, and the extra water, and mix it all together thoroughly. You may need to add a little more water if it seems dry. Spoon the mixture into a well-greased loaf pan and top with the passata. Cover the top with foil and put in a pre-heated oven at 190°C for 30 mins. Then remove the foil and cook for another 30 mins, until it’s browned and crispy on top, and a skewer comes out clean. When you take it out of the oven, let it cool for a few minutes before trying to get it out of the pan. Slice it up and serve with roast veggies and gravy, or salad or chips, or whatever you fancy. We had it with roast potato, sweet potato, carrot, pumpkin and beetroot, plus peas, corn and broccoli, and a garlic and rosemary gravy. Hopefully I haven’t left anything out! Looks really good! 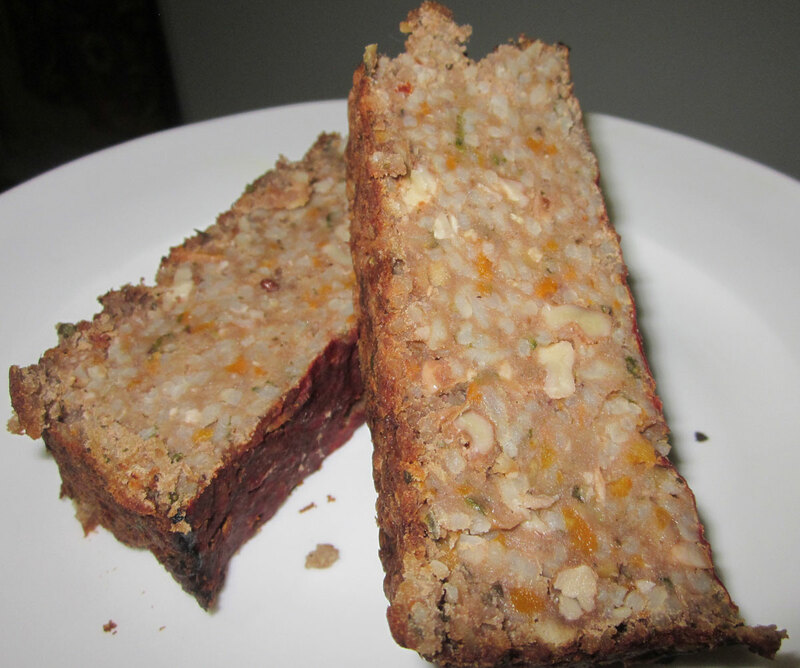 I’m always on the look out for new lentil loaf recipes, so will give this a go at some point!